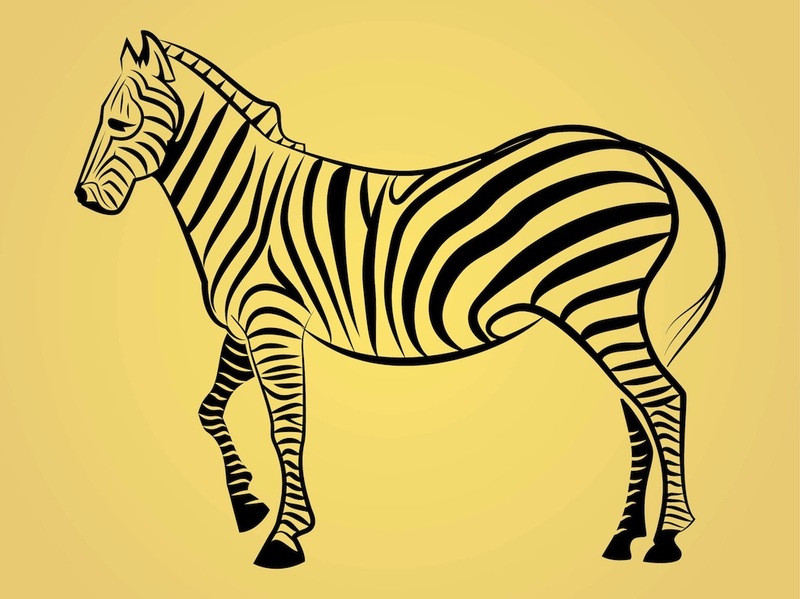 Download zebra vector for free. Animal graphics of zebra seen from the side. Linear illustration with organic stripe pattern and small details on the eyes, ears and tail of the wild animal. Free vector graphics for nature in Africa, wildlife, wilderness, wild animals, biological diversity, African fauna and zoo designs. Free zebra design for decals and posters. Tags: Animal, Decal, Lines, Nature, Sticker, Stripes, Wild, Wildlife, Zebra Vector.